Speights, a senior, last year played on the same team as Kristian Marche, who was gunned down at his house Aug. 13. After the violence in Philadelphia claimed the life of her son's friend, a mother has moved her high school son across country to play football and stay safe. 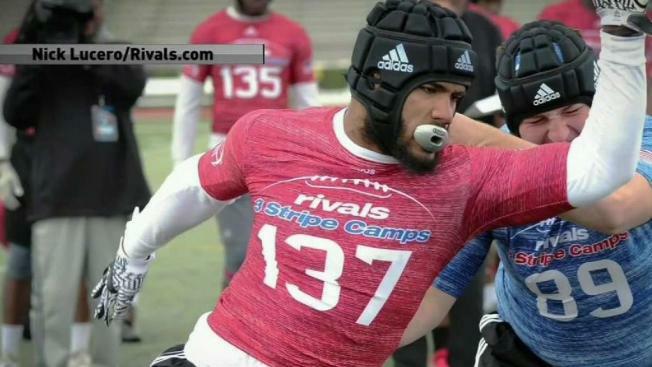 One of the top football prospects in the country, defensive lineman Omar Speights, abruptly left Northeast High School in Philadelphia this week to live in Oregon because his mother feared the violence in the city, his coach said Saturday. Speights, a senior, last year played on the same team as Kristian Marche, who was gunned down at his house in West Oak Lane just days before he was set to leave for Penn State on a full athletic scholarship. Marche's killing, allegedly at the hands of two fellow teenagers, "freaked out" Speights' mother, according to Northeast High coach Phil Gormley. "Omar’s mom was familiar with what happened. She heard about what happened with the shooting (of Kristian Marche) and stuff and she got a little freaked out," Gormley said. Speights and Marche, one of the best sprinters in the state, played together at Imhotep High School during the 2017 football season. 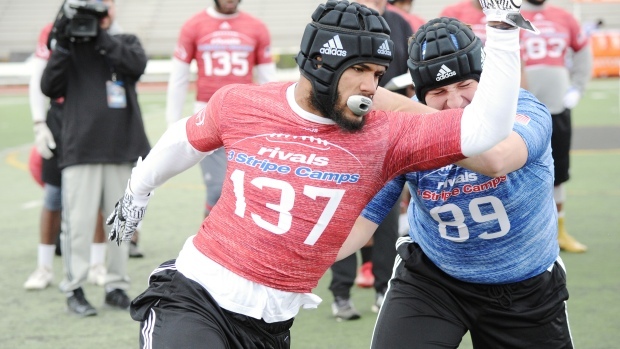 Speights had since transferred to Northeast High, where he was expected to be one of the best defensive ends and linebackers in all of Pennsylvania. Gormley described him as one of the top 300 prospects in the United States. Philly.com first reported that Speights was leaving Philadelphia for Oregon. Gormley said Speights' mother was able to enroll him in a prep school in Oregon, which would allow him to get acclimated with the state where he has already committed to playing Division I college football. Speights will play next year at Oregon State University, one of the best college football programs in the country. His older brother is a red-shirt junior on the football team at Oregon State. "Bottom line line is, I don’t have to tell you: Four kids got shot in Oxford Circle this week. A person got shot at Lincoln High School last year. This young man (Marche) was shot at his home. The parents are worried, as they should be," Gormley said. "We wanted him to stay for selfish reasons, but his mother made a decision and you can’t blame her." Two teens were among the four people wounded in gunfire in the Oxford Circle section of Northeast Philadelphia on Thursday, two days after Marche's slaying. The shooting at Lincoln High School occurred Jan. 31, during the last school year. A 32-year-old man died from gunfire that occurred outside the school during a basketball game. Two teens, a 16-year-old and a 15-year-old, are being held on a murder charge in the shooting of Marche. The District Attorney's office announced this week that Taron Small, the alleged shooter, and Byron Vinson Jr., whose father told NBC10 that his son grew up on the same block that Marche was killed, will be tried as adults. Speights' mother did not immediately respond to a request for comment through Twitter. It's unclear if her son was already in Oregon.